Or is it all about signing quality players to complement the ones we've already got? It's a tricky one to call as, should we go for the option of getting anyone in just to bulk up the squad then the fingers are always going to pointed at those players and the accusation will be that they're not good enough. These concerns were raised when we were in pursuit of Stephen Hunt last summer and will no doubt resurface once the pulses have stopped racing at the prospect of Middlesbrough's Gary O'Neill joining the Blues. But Moyes has admitted that the squad isn't nearly big enough as we will be competing for four trophies next season. Moyes said: "We are not ready as far as the squad goes, we want more players in. He added: "We let a few go in the summer - Andy van der Meyde, Lars Jacobson, Nuno Valente - and we have not replaced any of those players yet." No whilst none of those players figured regularly for the Blues, they were always (ok, sometimes) available if and when we needed them. 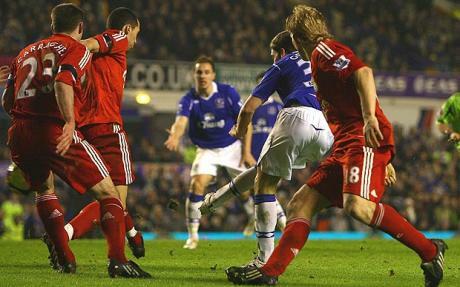 van der Meyde came on at the end of the FA Cup match with Liverpool and provided the cross fo Dan Gosling to seal a famous win. Lars Jacobsen came on at half time in the FA Cup final and immediately shored things up down the right after Tony Hibbert had a nightmare first half, partly as a result of his early booking. Anyway, you get the point, they were three more players available for selection, when fit, and we haven't replaced them. That's why releasing Lars Jacobsen seemed a strange move as he was clearly a competent right back, but Moyes was clearly confident of landing Kyle Naughton who, potentially, would've been an outstanding right back. So, if Moyes was prepared to let competent players leave why have they not been replaced? And, if the idea was to fill the void with better quality players why are we now looking at the likes of Middlesbrough's Gary O'Neill? If the idea was to get bodies in then players like Stephen Hunt and Gary O'Neill could've easily been snapped up at the start of the summer. Even players like Newcastle's Damien Duff, Kevin Nolan and Ryan Taylor would've added more depth and some quality to the squad. But there has been nothing. We were stitched up by Sheffield United and Tottenham over Kyle Naughton, but it seems like that has sent Moyes into a state of flux and there's been no movement since apart from some rumblings of a deal with Arsenal for Phillipe Senderos. There's also been the odd rumour about Standard Liege's Stepahne Defour and Leeds United's Fabian Delph, the latter having since been signed by Aston Villa. We have no idea what sort of a transfer budget Moyes has been given by the board but, if there's not much money there and he's bemoaning the lack of numbers in the squad, how can we turn down a possible £27 million coming into the club from the sale of two players, Joleon Lescott and Louis Saha? Have we not learned anything from last season's woeful start when the first six weeks' results prevented us from seriously challenging the top four, let alone having a run at the Carling and UEFA Cups? It strikes me that Moyes has been put on the back foot by the failure to sign Naughton, clearly his number one summer target, and Manchester City's dogged pursit - how diplomatic a phrase was that?! 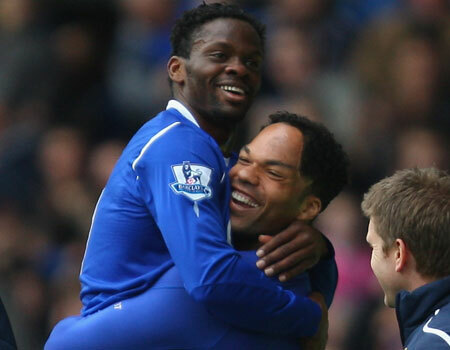 - of Joleon Lescott means that everything is up in the air! Lescott is a key player for us, as shown against Malaga, but if he doesn't want to play for Everton then let him go, get the money in and strengthen the squad while we still can. If we don't, we could find ourselves, once again, out of two cup competitions and struggling for form, and players by the end of September!